Ask what I want for breakfast, and I will ask for waffles. Don’t ask, and I will plead for them anyway. One morning, to hush my incessant waffle cries, Rob found a waffle house nearby. We’ve tried several of their sweet and savory ones, but my favorite is the creme brulee- a crispy waffle with pockets full of sweet custard sprinkled with turbinado sugar, torched to golden perfection, and finished with berries and powdered sugar. The waffle alone is delicious, and I’ve been contemplating getting a waffle maker just so I can experiment with my own recipes and toppings. Half jokingly I told my mom this, and lucky me, she got me a waffle maker for my birthday! I received several cooking-themed gifts this year which I’m super thankful for and excited to put to use so I can share with you all. In 2017, expect to see better knife work thanks to a new set of ceramic knives, some sous vide action, and maybe even a few recipes from Chrissy Tiegan’s Cravings! There’s a lot of cooking to be done, so I got to work quickly and discovered a yeasted waffle recipe. Is this a thing?? 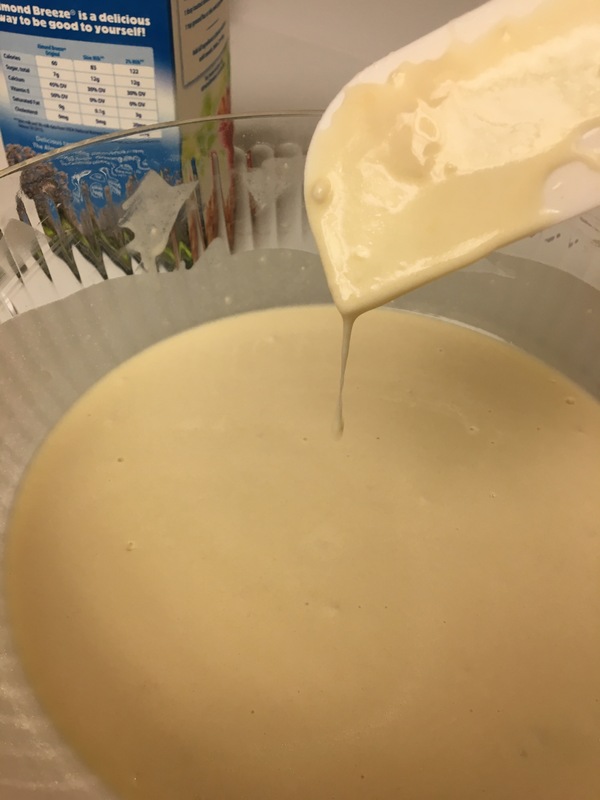 I’ve hardly played with yeast, so I decided to see what all the fuss is about. What a tasty surprise! These waffles have a perfectly crisp outer layer and fluffy insides with a satisfyingly deep yeasty flavor. Their golden ridges provide enough structural integrity for them to become the perfect vehicles for your favorite toppings. So pile them on! I was able to eat them like giant giant chips and dip (for science, of course). 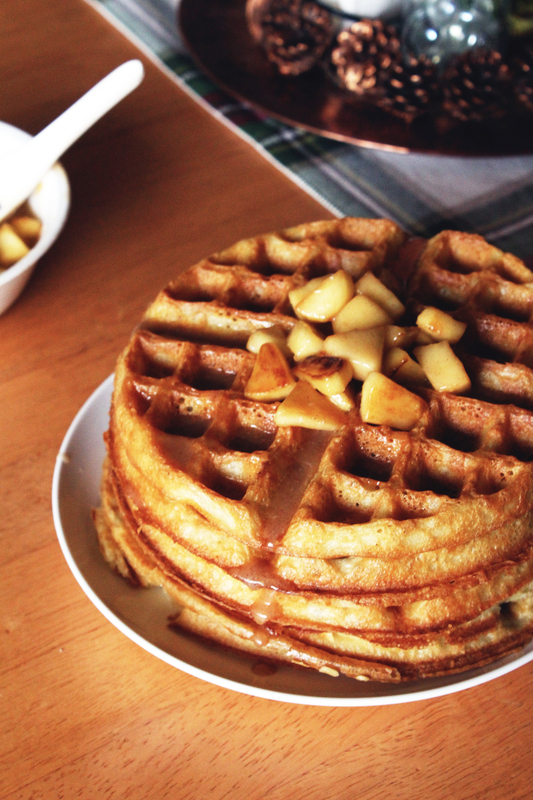 I love fruit on my waffles, so I made a caramel apple topping very similar to pie filling. 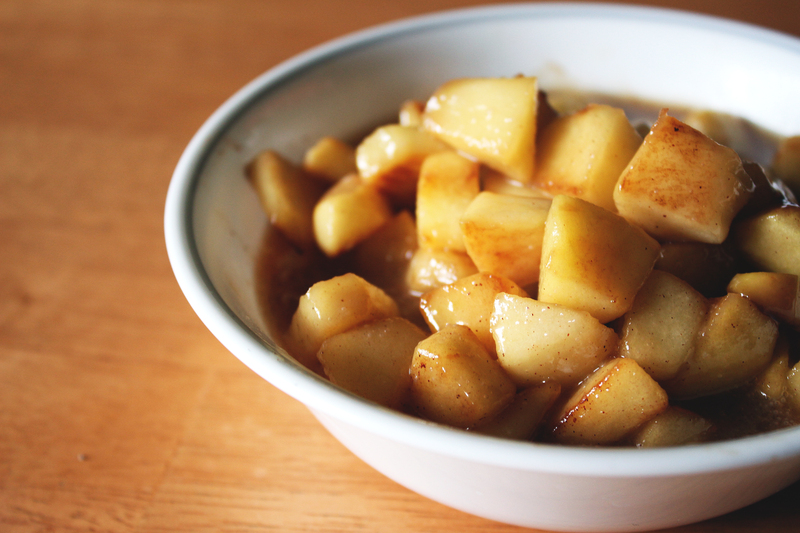 Tart chunks of apple with a squeeze of lemon and touch of cinnamon, cooked hot and fast in a pan so they still have some bite to them, then tossed in a sweet and salty sauce that is just a few ingredients short of a caramel. They were so ridiculously tasty, with a subtle and versatile flavor, they’re sure to be a hit no matter how you like your waffles. 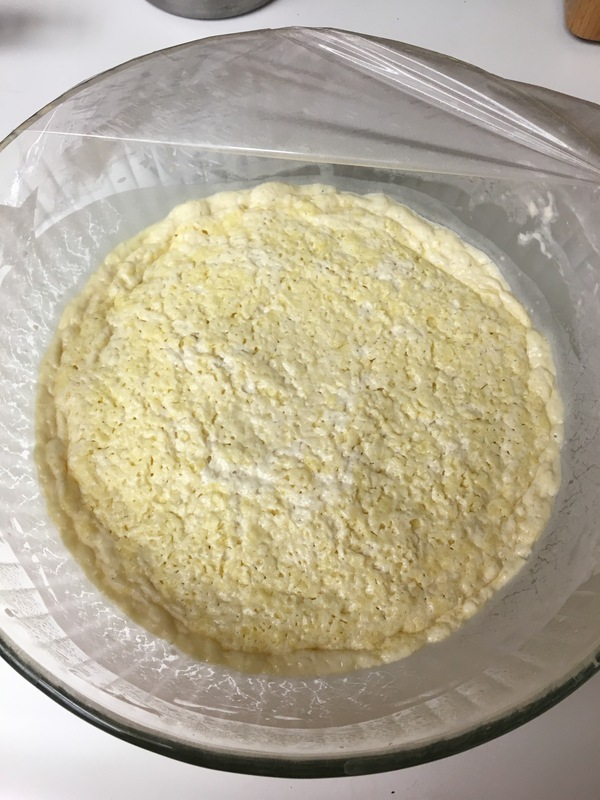 The batter ferments overnight, so whip up a bowl, sleep in, and enjoy the next morning! 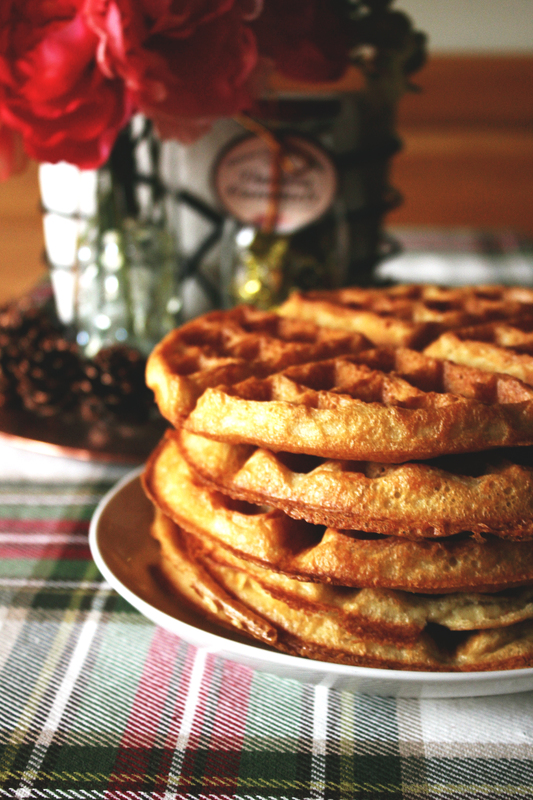 This recipe yields about 6-8 large round (8-inch) waffles. Whisk in the eggs and baking soda until batter is smooth again. 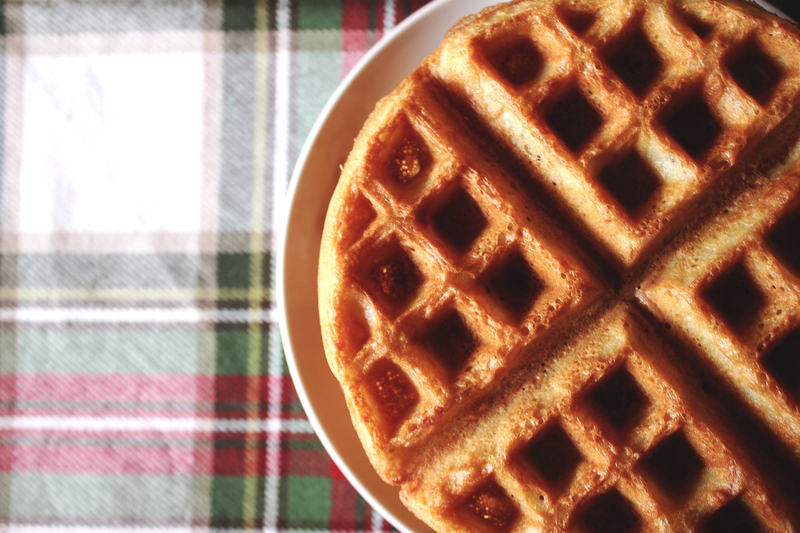 Heat up your waffle iron, spray with cooking spray, and ladle in about 2/3-1 cup of batter per waffle. These tend to bubble up once they hit the iron, but not much more afterwards. Cook about 5-8 minutes each side with the iron on high for crispy edges. Since waffle irons will vary in temperature, I would test one first, checking for doneness and taking note of how long yours needs to be just right. You can serve them immediately with your choice of toppings or keep them in your freezer to enjoy at a later time! Happy waffle-making! Thanks, Brina! I remember you moving over to a new site. Is there a subscribe feature? If so, maybe I just don’t see it on mobile?